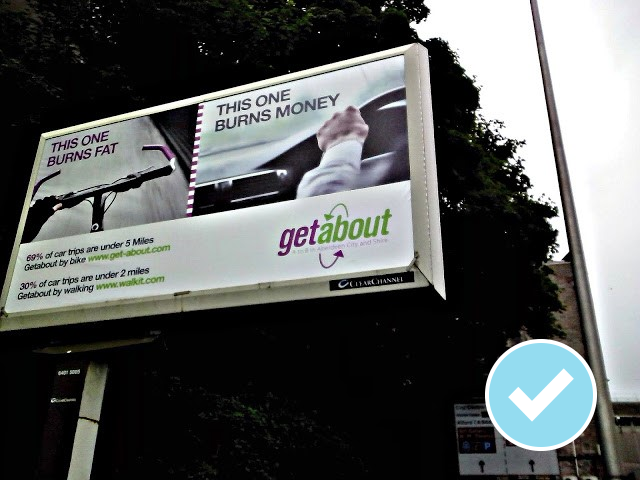 Does Scotland need more or less of these sorts of marketing messages? 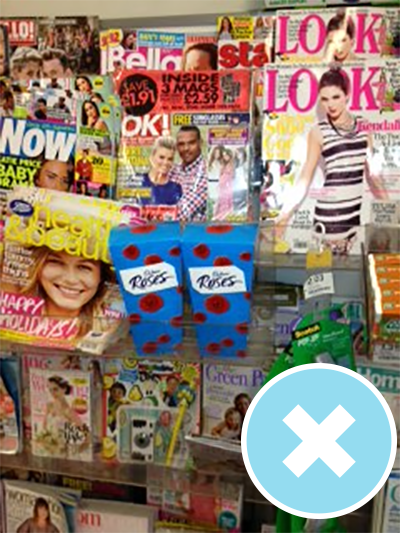 The good, bad and downright awful examples of the barrage of food and exercise-based marketing, that Scottish consumers are (or should be) faced with day-to-day. 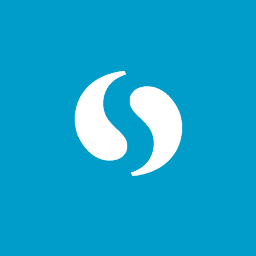 Free choice is important, but how easy is it to make healthier decisions when pricing and marketing leans strongly towards the opposite? No thanks! 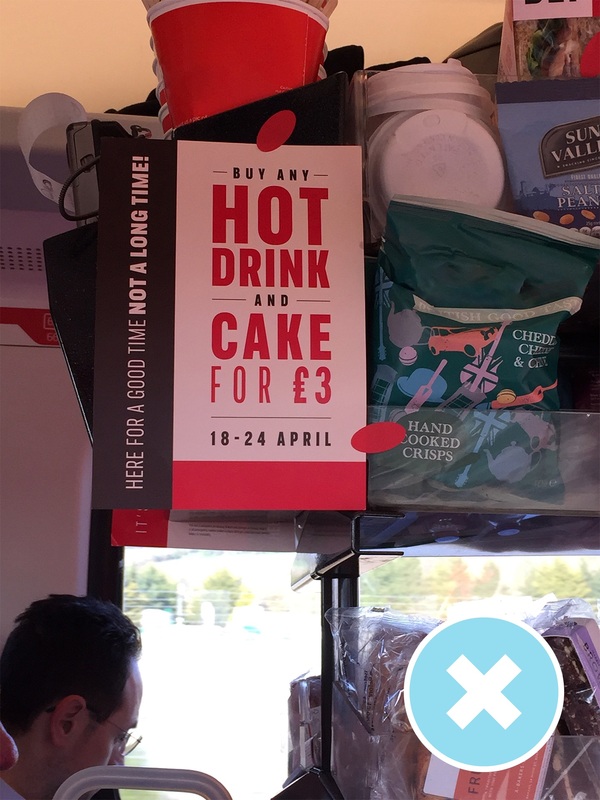 When commuting we need encouragement to eat something healthy because convenience is so tempting – heavily discounted cake with a potentially sugary drink, and no visible healthy alternative, isn’t giving us much of a choice. Yes Please! 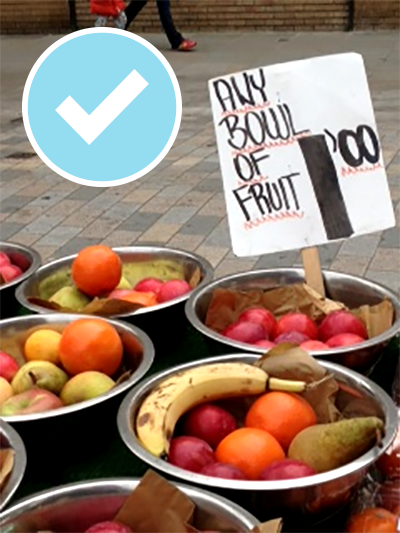 Any bowl of fruit for £1.00. 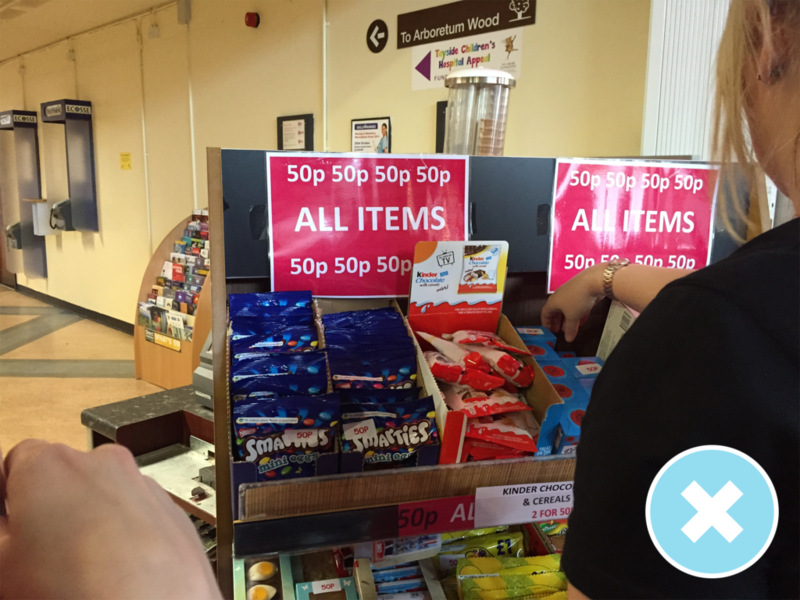 There’s nothing like a bargain – which all too often ends up being something less than healthy – what a nice change! No thanks! 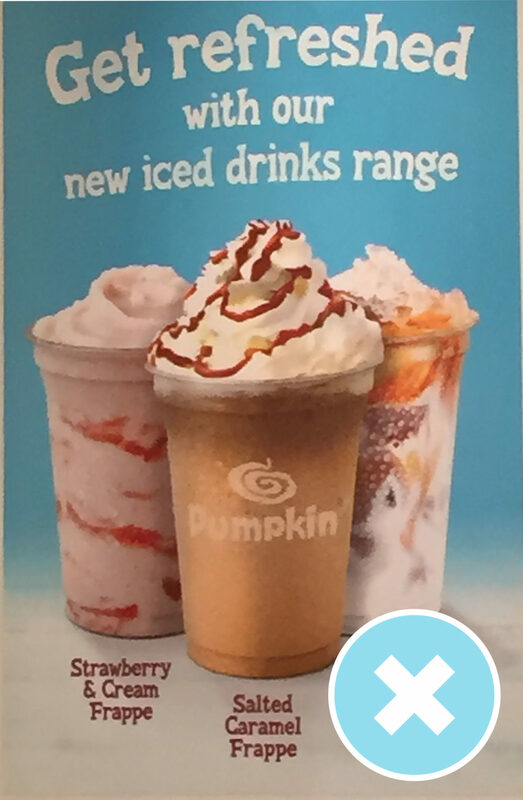 Another example of companies using unhealthy foods to sell their products, without thought towards the health of their customers. 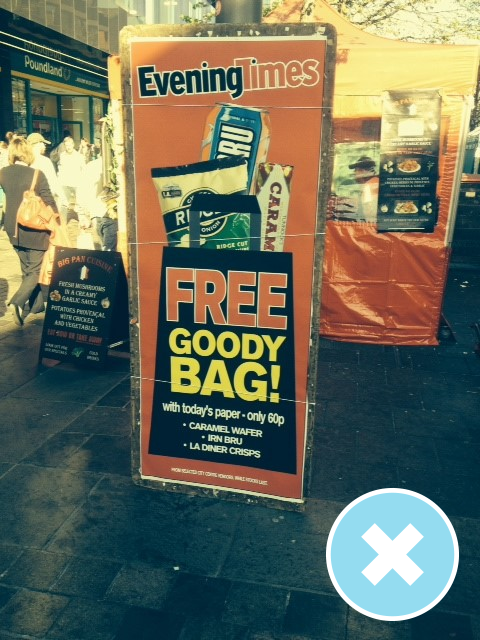 Shouldn’t we be encouraging a free 5-piece fruit bag or bottle of water? Yes please! 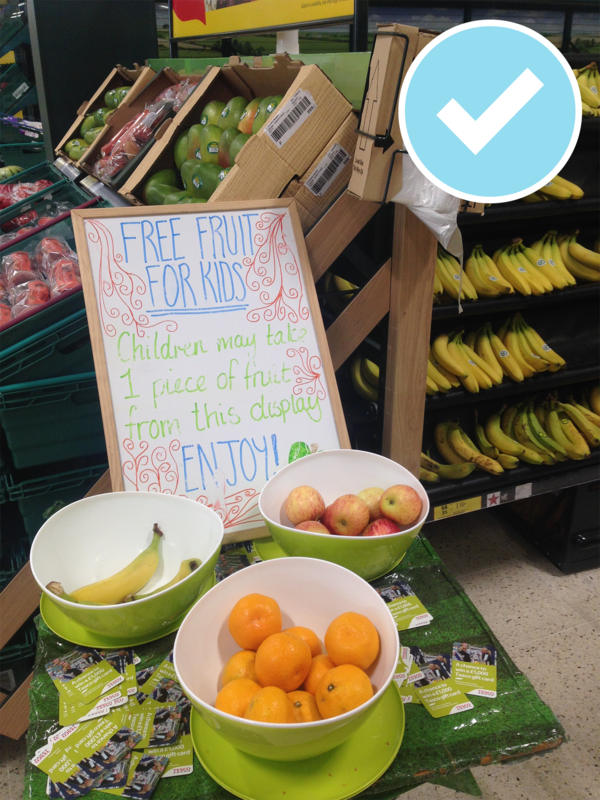 This supermarket is giving away 1 piece of free fruit for children – promoting positive food choices whilst shopping, and keeping them occupied…at least for a moment! No thanks! 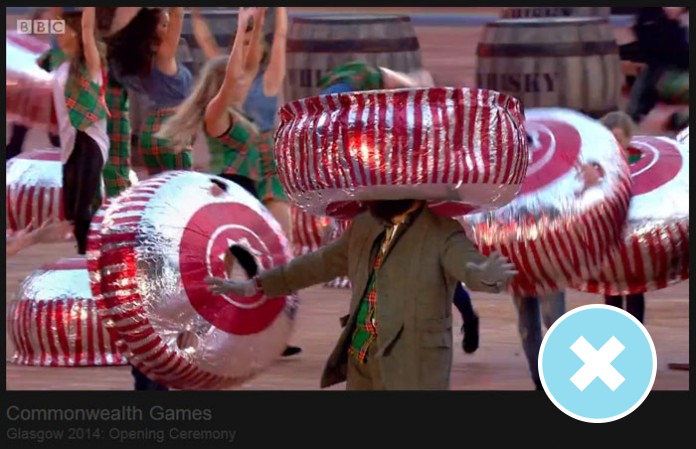 Dancing teacakes may be a part of Scotland’s heritage, but they are definitely not the best example of a healthy diet. Yes Please! 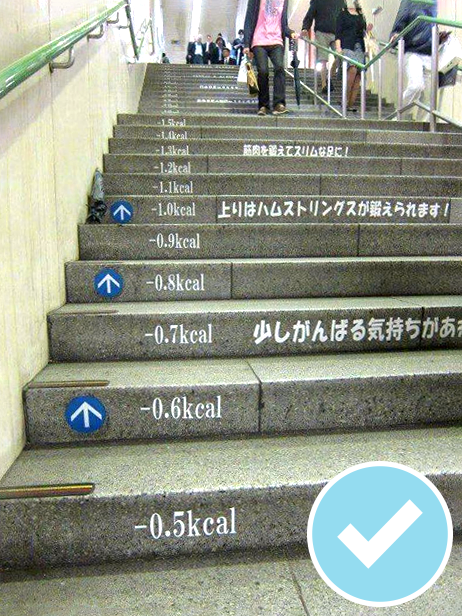 This staircase situated in a Kyoto subway station is decorated with an estimation of the calories burned for each stair climbed. Encouragement or what? 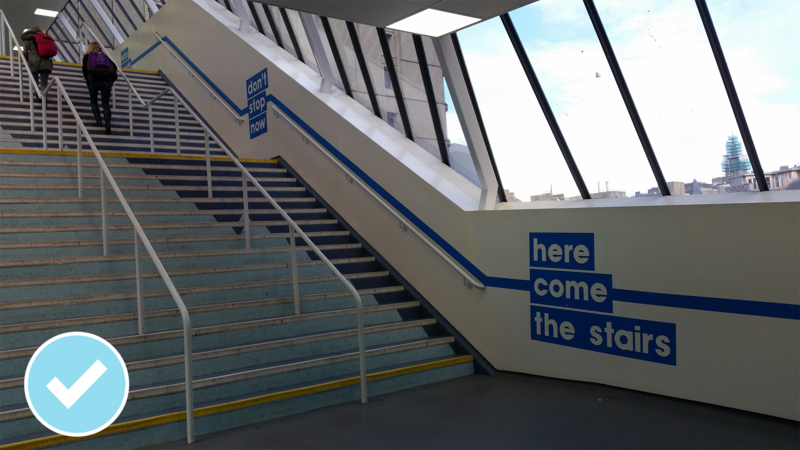 For hospital patients, staff and visitors? No thank-you! Yes please! Breastfeeding: good for babies…and for mums! No thank-you! 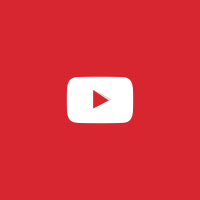 Discount vouchers for fast food with every purchase? Hard to say no. Yes please! 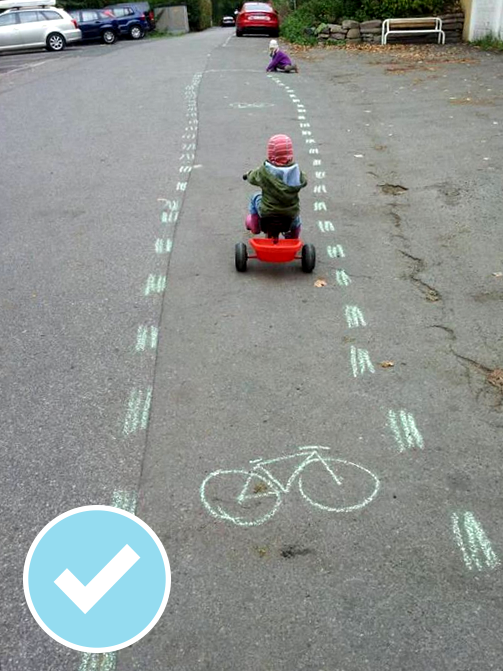 “59% of car trips are under 5 miles, 30% of car trips are under 2 miles” Get about by walking and cycling! No thanks! 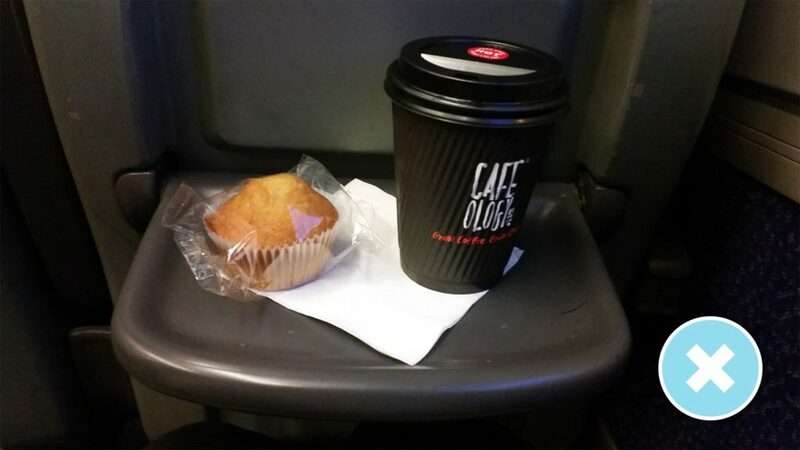 ScotRail are offering rail passengers “a free muffin” with the purchase of a coffee. Where’s the healthy alternative? Yes please! 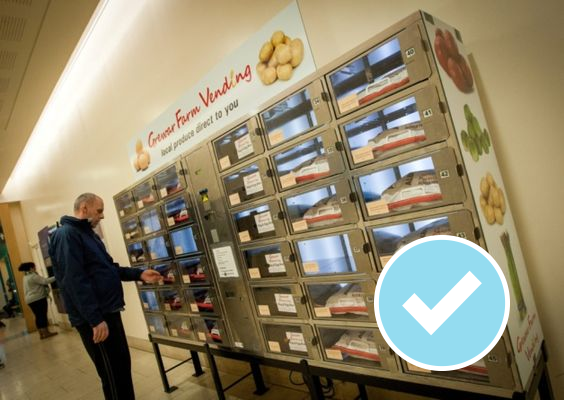 This Grewar Farm vending machine in Dundee’s Overgate Shopping Centre, sells fresh fruit and vegetables in an innovative new way to passing shoppers. Excellent! No thanks! 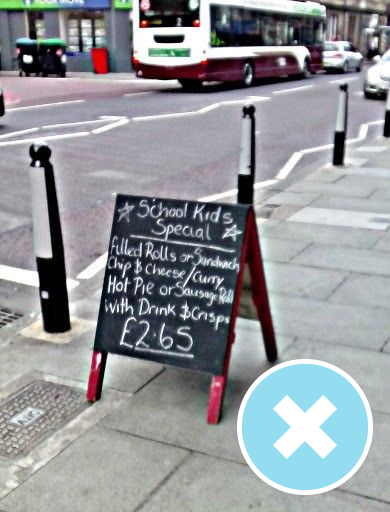 “School Kids Special” These kinds of promotions are not good for Scotland’s young people. Children and young people need to be eating healthily to ensure that good habits and good health continue in to later life. What is the likelihood of finding a healthy, nutritiously balanced lunch for this price? Sadly, very low. No thanks! 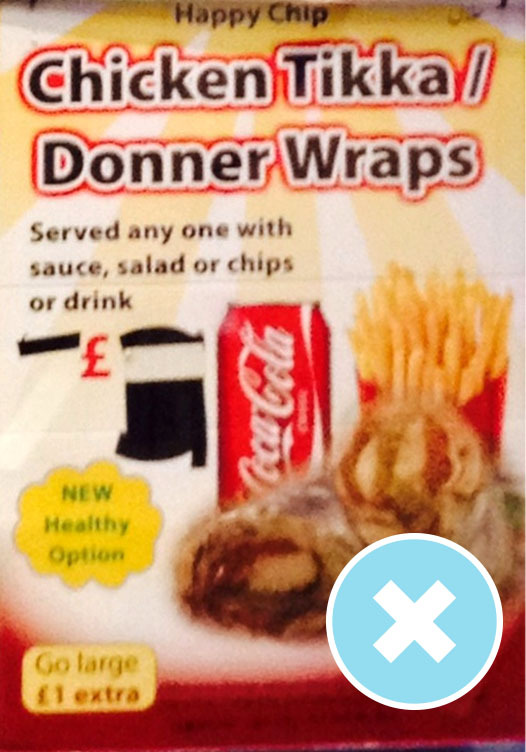 “New healthy option” – The addition of salad does not make Chicken Tikka / Donner Wraps healthy, especially with the accompanying sugary drink! Yes please! 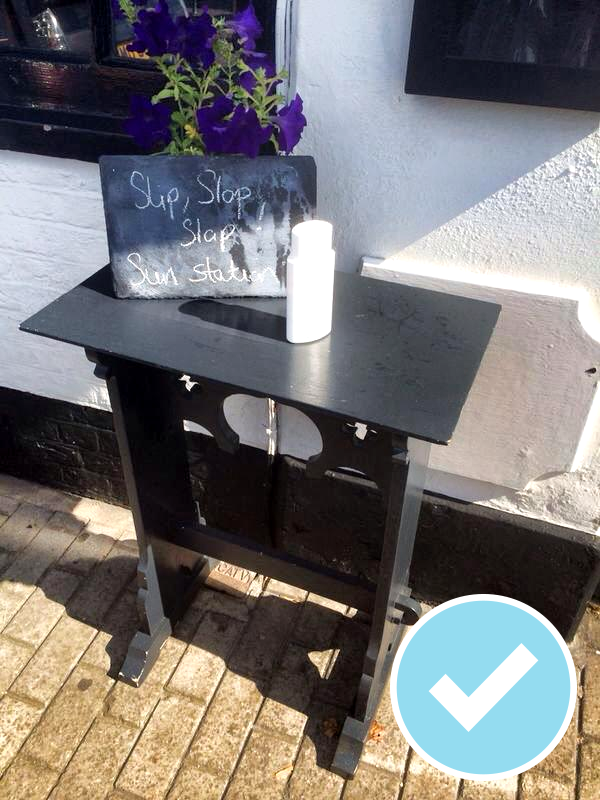 Slip, Slop, Slap Sun Station – encouraging passers by to protect themselves from the sun…and skin cancer! No thank you! 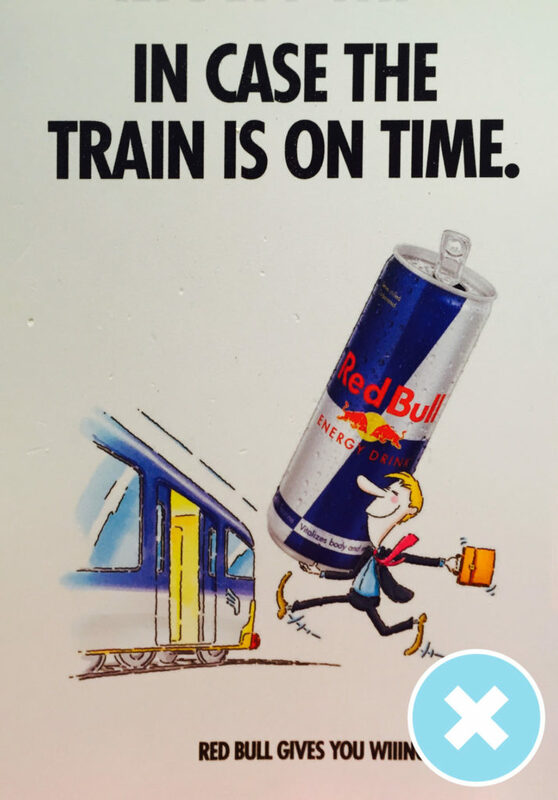 Why not leave a little earlier in the morning, get off a few stops earlier and take a short walk to the station – guaranteed to make you feel awake and ready for the day. Break up your sedentary time, no need for high-sugar drinks! No Thanks! 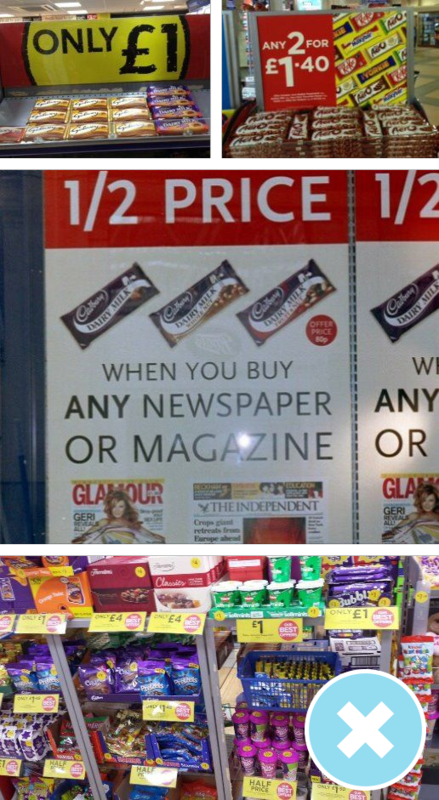 Free chocolate with the purchase of a magazine? We’d like free healthy food! No Thanks! One of the major issues we face is the price of healthy foods. 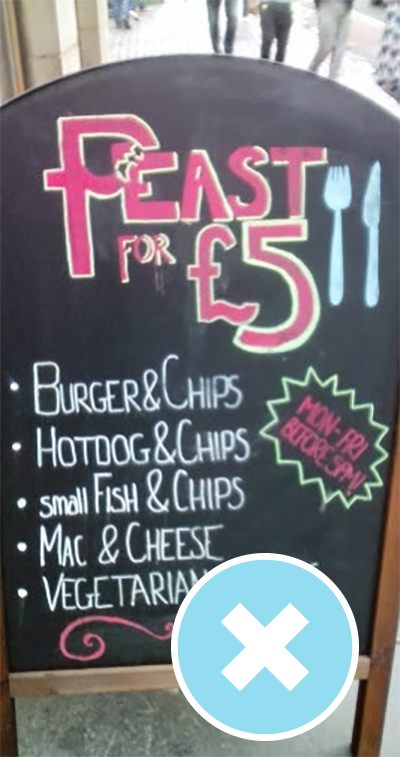 There are advertisements like this everywhere “Feast for £5!” How easy is it to find a healthy alternative without breaking the bank? No Thanks! 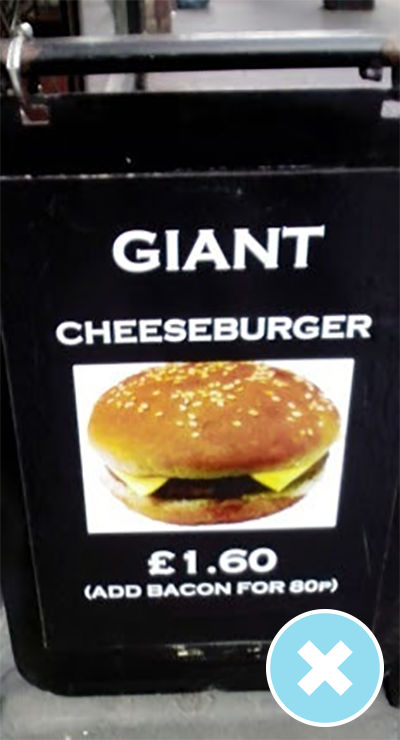 A GIANT cheeseburger? The European Code Against Cancer and others recommend that we limit our consumption of red meat and avoid processed meat as much as possible, in order to reduce our risk of developing cancer. What we don’t need is increased portion sizes when out and about.